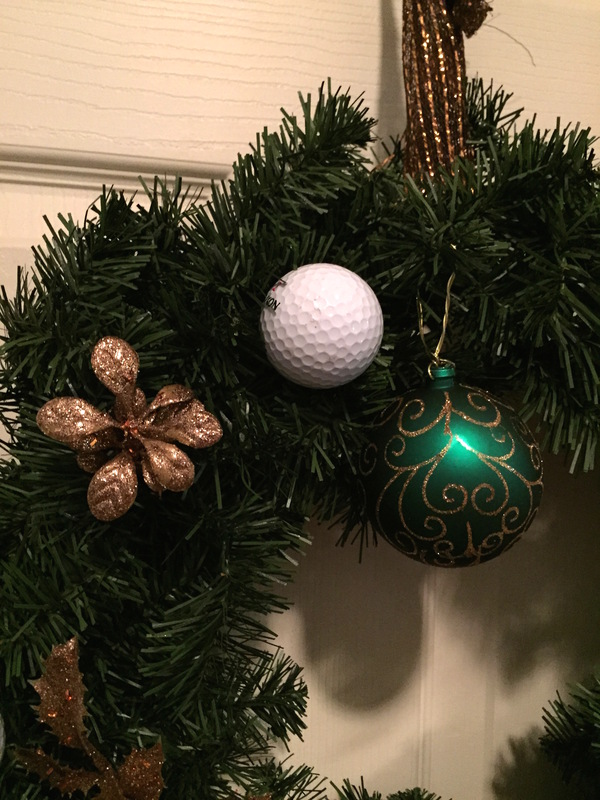 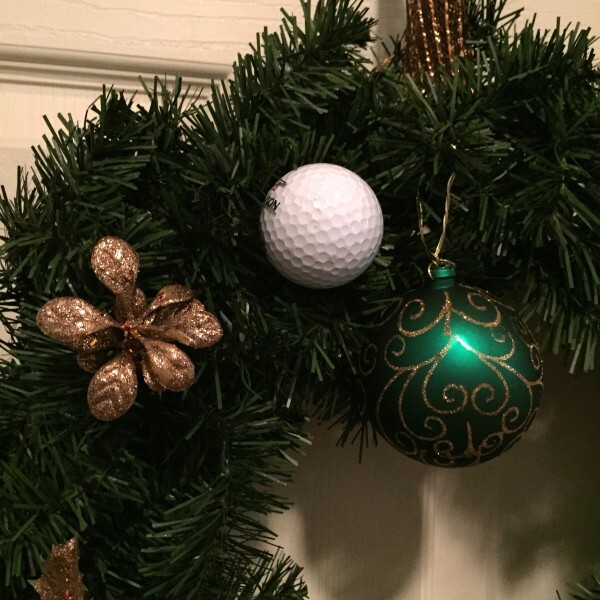 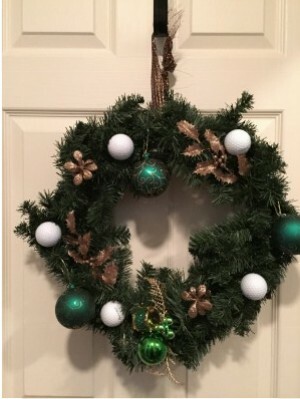 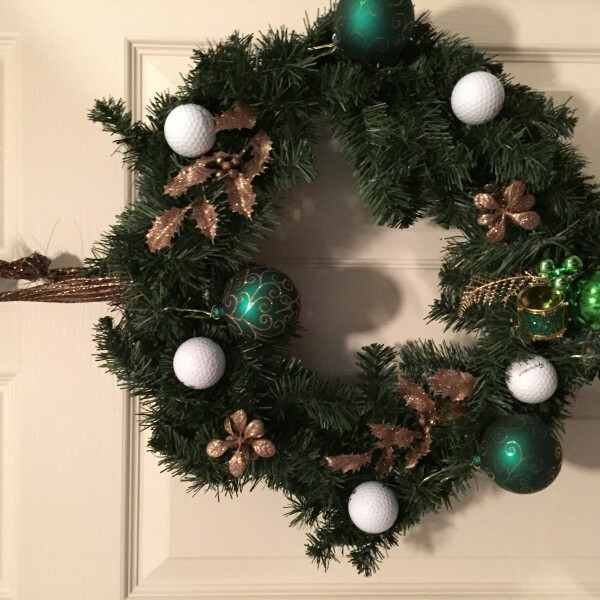 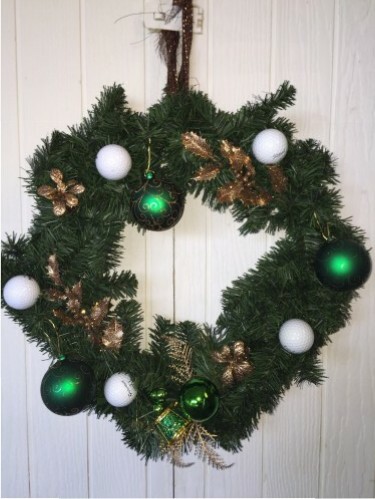 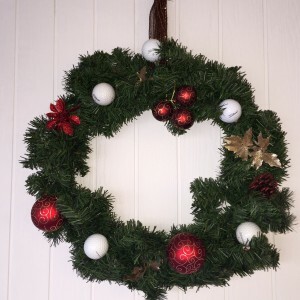 Classic Wreath adorned with green ornaments, golf balls and golf tees! 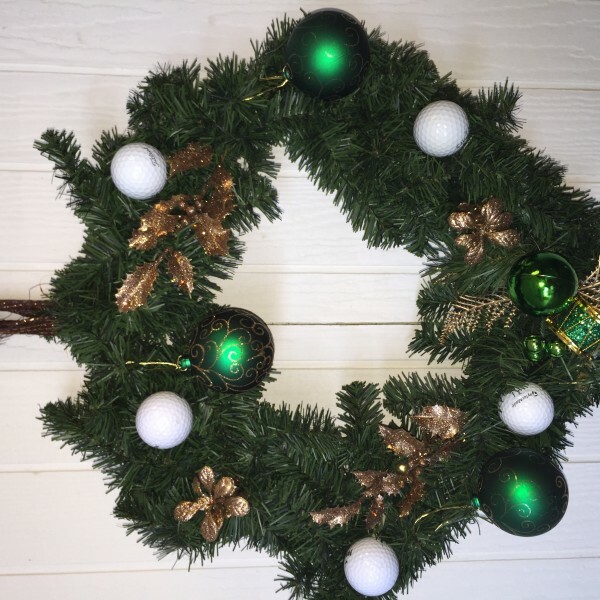 The ornaments vary in size and are a striking, festive green accented with beautiful gold designs. 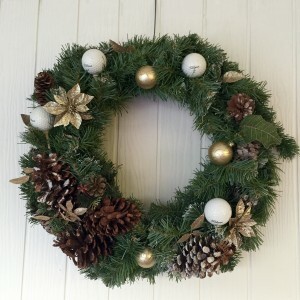 Gold toned leaves finish the look elegantly!